I love camping. I absolutely love it. I am one of those folks who can go days without a shower, sleep in a bag on the ground and wash my dishes in the stream happily. 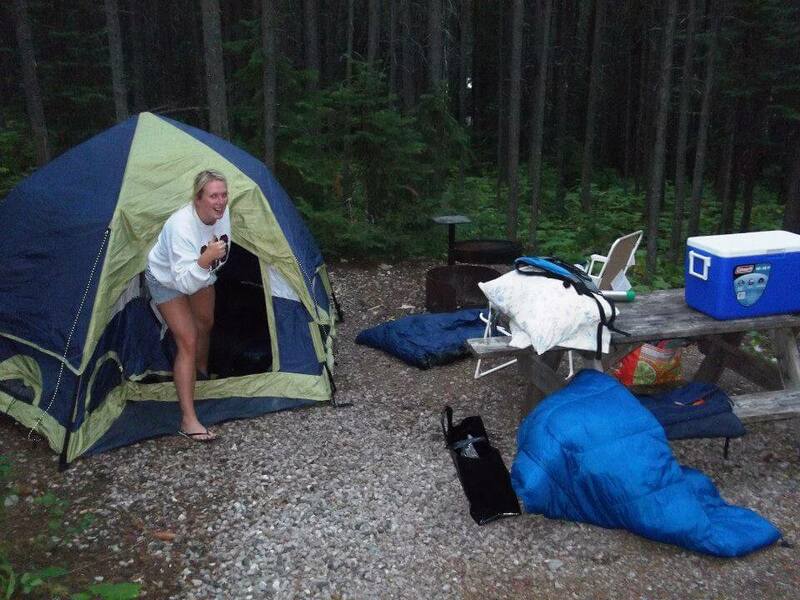 But the older you get, the more complicated camping gets. The wind howled so bad the whole night long that it shook and rattled our tent to a point that neither of us could sleep. the dog was up and pacing and nervous and we tossed and turned on the hard ground trying to catch a few winks. The wind finally died down around sunrise but by then we were both so over tired that Ryan packed us up and took us home. I slept from 8:30 am- 2:30 pm on Sunday and then was in bed at 9 pm that night. The dilemma we are facing is what do we do now? Ryan says he can’t sleep on the ground any more, his back hurts him and he needs a more solid bed. We have tried air mattresses and those don’t work because they are too soft. He suggested we look at campers but I HATE the idea of dragging along a camper behind us wherever we go. To me, camping is hopping in your car with the minim al amount of outdoor gear and going. Campers are for old people who need a bed and bathroom or people with babies or young children. I still like to rough it. So what are we to do? We’re getting too old to tent it but are still too young for campers! Any suggestions? I’m leaning toward a camper van. A vehicle and a solid bed rolled into one. Ryan thinks if you are buying a camper van you may as well buy a motor home but I do not want a motor home! 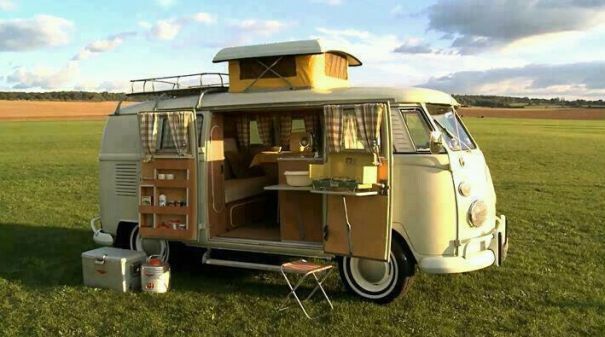 I would LOVE a VW camper van! Hammocks look like a fun option but I prefer to be under shelter than out in the open. That, and I get swing-sick on anything that even remotely rocks back and forth. If this is an option you’re interested in, check out this buyers guide to help you pick one out. I think for now the answer will be cots. 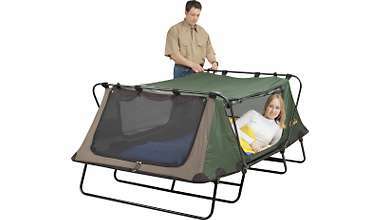 We’ll get a couple of cots set up in our tent and see if that is more comfortable. 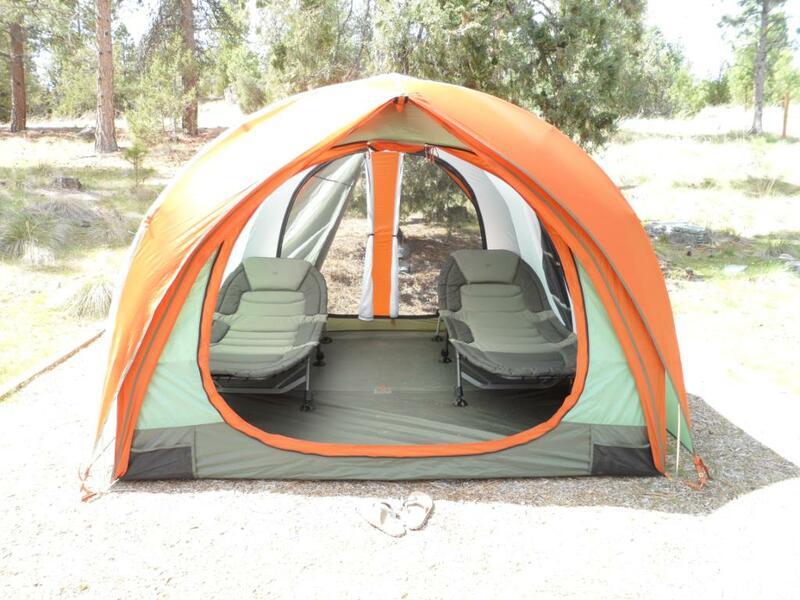 I also found these cot/tent combos/ I don’t think that would work for us because of Rocky though. This would be so nice for set up and take down! We’ll also find a spot more protected from the wind! 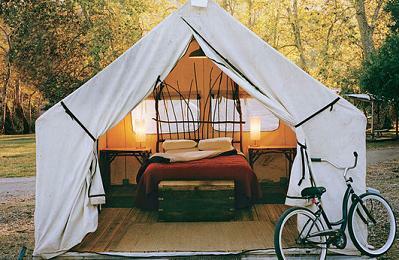 Maybe we need to go all out glamping! Ha ha ha! Definitely not roughing it. I know you said air mattresses, but have you used actual backpacking sleeping pads? They’re pretty comfy! I love my ThermaRest NeoAir pad. Thanks for the tip! I’ll have to try something because I don’t want to start adding a bunch of extra gear!